For 25 years, Dave Schroer coached alpine and nordic skiing, and track and field at Homer High School. He won ASAA state championships and inspired Olympians, but he was much more than just a coach. His selfless dedication and unwavering ‘can do’ support inspired hundreds of teens from 1958 to 1982. That was his claim to fame. Well, that and mentoring Olympic cross-country skier Larry Martin, who competed in the 1972 and 1976 Winter Games. Many other Homer skiers competed on the Junior National Team and went on to compete in college. In 1983, the Kenai Peninsula Borough honored Schroer for his 25 years of service and named the Homer Middle School track in his name. He continues to serve as an advocate and supporter of youth programs in Homer. No matter the sport. No matter the destination. Nobody covers high school activities in The Last Frontier like Alaska Airlines. Flying is the preferred choice of transportation in the country’s largest state in size, but the smallest state when it comes to density in population. In other words, it’s too far to drive. “In the Lower 48 kids go to games on a school bus,” said marketing director Scott Habberstad. “In parts of Alaska kids go to their tournaments on Alaska Airlines. We are the school bus for Alaska.” Alaska Airlines has been an avid ASAA supporter for more than a dozen years and provided airfare for all-state music conductors, Hall of Fame recipients and winners of the all-state art competition, poster contest and raffles. One of only 10 Alaskans to play in the NFL, Chris Kuper of Anchorage was a durable and dependable offensive lineman for eight seasons with the Denver Broncos. He was a three-time team captain, four-time AFC Division champion and a one-time All-Pro. The 6-foot-4, 300-pound guard started 79 of 90 career games and was part of the Denver team that played in Super Bowl XLVIII in 2014. He was given the NFL’s Ed Block Courage award in 2013. Kuper was a fifth-round draft pick out of the University of North Dakota, where he was named an All-American and won a NCAA D2 national championship. He graduated from Dimond High School and was an all-state performer in football field and with the shot put in track and field. A two-sport All-American for NAIA Benedictine College in Kansas, Jeremiah Richards of Palmer was one of Alaska’s greatest athletes. In 1999 he became the first track and field athlete in school history to place nationally at the NAIA Championships. He was a two-time All-American in the discus after placing fourth as a sophomore in 1999 and third as a junior in 2000. He also played tight end for the Benedictine football team. He was named all-conference three times and an All-American as a senior. Richards was even more successful at Palmer High School, where he was voted the state’s top football player and lineman of the year in 1996 and won two ASAA state titles in track and field – the discus in 1996 and the shot put in 1997. Nobody has had a bigger impact on Point Hope basketball more than Rex Rock, Sr. He was the patriarch of a premier program that won 566 games and four ASAA Class 2A state championships. His teams won 18 regional titles and qualified for the state tournament 24 times. Twice he was named Alaska 2A Boys Coach of the Year. Rock’s career as a bench boss started in 1979 and continued in 2011 when the Harpooners won their third consecutive championship. He produced a ton of talent, most notably two-time 2A player of the year Adam Sage. Rock exemplifies Tikigaq basketball with his cool, calm and confidence demeanor on the sideline. He personifies leadership as a basketball coach, whaling captain and corporate CEO. Over the last half century the Nordic Ski Club of Fairbanks has grown from a small enthusiastic group of cross-country skiers in the 1960s to a dedicated group of supporters in the Golden Heart City. The first major event in Fairbanks was the 1977 Junior National Championships. Since then the club has hosted the World Cup, Arctic Winter Games and Junior Olympics. In 1984 the U.S. Ski Association awarded the club the Paul Bacon Award. More recently, the club has hosted the ASAA state ski championships six times from 2002 to 2011. The Nordic Ski Club of Fairbanks also hosted the 2014 Arctic Winter Games, which included biathlon after working closely with the U.S. Army at Fort Wainwright to develop of a biathlon range. Alaska’s most skilled gridiron great, Reggie Tongue was an all-star playmaker at every level of football. His game was born in Fairbanks, but it came alive at Oregon State University. The defensive back was a two-time All-Pac 10 selection for the Beavers and in 1996 he tied an NCAA Division I record by returning three interceptions for touchdowns in one game. The 6-foot, 200-pound safety played 10 seasons in the NFL for four teams, most notably with the Seattle Seahawks and Kansas City Chiefs. He scored five career touchdowns in the NFL, the most among the 10 Alaskans to play in the league. He ranks first among Alaskans in the NFL with 15 interceptions and third with 145 games. Tongue was the 1990 Alaska Player of the Year at Lathrop High School. Until his death in 2002, Lancer Smith was a driving force with the coaching, development and promotion of wrestling in Alaska. Hard-nosed and rugged, he was a big man with a bigger heart. In 1988 Smith was inducted into the Alaska State Wrestling Hall of Fame. He coached Mat-Su Valley high school wrestling teams at Palmer and Colony from 1973 to 2000, making men and building champions. Before he got into coaching Smith was a college All-American at Diablo Valley Junior College and then a two-time Big Sky champion at Idaho State University. He was an Olympic alternate in Greco-Roman wrestling at the 1968 Summer Games. 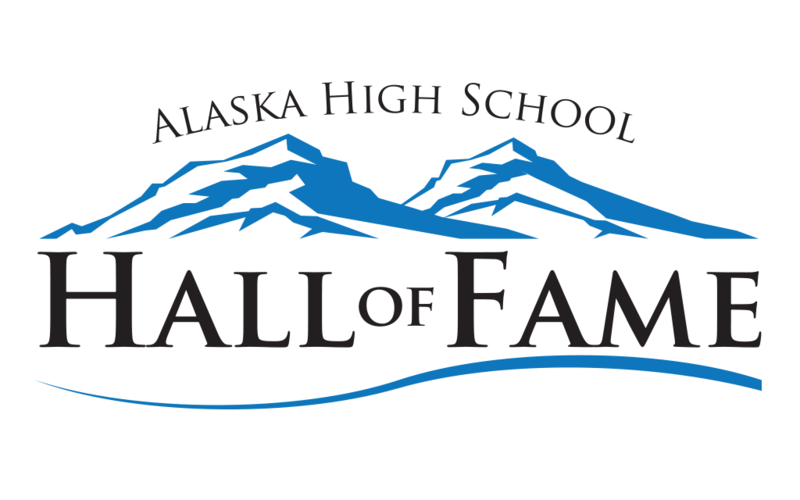 Smith was one of five prominent figures in Alaska wrestling to be inducted into the National Hall of Fame. Ted DeLeon could easily be considered the dean of high school basketball in Fairbanks after a 31-year coaching career that spanned 675 games from 1962 to 1993. In 1990, he led West Valley High School to the ASAA Class 4A state championship and was named Coach of the Year. It was the last Fairbanks team to win a 4A title. DeLeon compiled a career recor of 404-271 at West Valley and Eielson. He started at Eielson in 1962 and coached the Class A champions in 1966 and 1974. He was voted Fairbanks Sportsman of the Year in 1974. Away from the hardwood, he coached high school wrestling, football and track and field. DeLeon is still involved with basketball today as president of the Alaska Association of Basketball Coaches. Whether he was coaching high school sports in Seward or Sand Point, Roger Steinbrecher left an indelible mark on Alaska before his passing in 2009. He came to Sand Point in 1977 and stayed 13 years, leading the girls basketball team to the 1990 ASAA Class 2A title game. At Seward he was instrumental in building the school’s football team from scratch and encouraged other small schools to get on onboard too, which led to the creation of the Greatland Conference. Steinbrecher led the Seward girls basketball team to a ASAA Class 3A state title – the only hoops championship for boys or girls in school history. He also coached volleyball and track and field at Seward. His commitment to the success of kids was a cornerstone of his career. His Noorvik boys basketball teams played with pride, precision and passion, a reflection of longtime coach Mike Zibell’s zest for the game. His coaching career lasted only 14 years, but he averaged a state title every other year. He guided the Bears to seven ASAA championships between 1995 and 2009. There was no better small schools squad in Alaska from 2005 and 2007 when Noorvik won three straight titles – two at Class 1A before moving up to 2A and winning again. He was named 1A Coach of the Year in 2006 and 2A Coach of the Year in 2007. Zibell compiled a 272-76 career record and carved up the competition with an .866 winning percentage in the postseason [58-9]. His players were just as disciplined off the court, treating others with respect and handling themselves like gentlemen.